A minor update to Tweetbot has been released today by Tapbots: among bug fixes, version 2.6.1 introduces a slightly tweaked user interface with a different design for buttons and icons seen throughout the app. Unchanged since the first version, the new icons are similar to the old ones, yet somewhat more rounded and, in my opinion, peculiar. Like I said, it is a very minor change. However, if you, like me, stare at Tweetbot for several hours a day, it is something you'll quickly notice upon updating to 2.6.1. It certainly contributes to subtly differentiating Tweetbot from Netbot, which I appreciate. 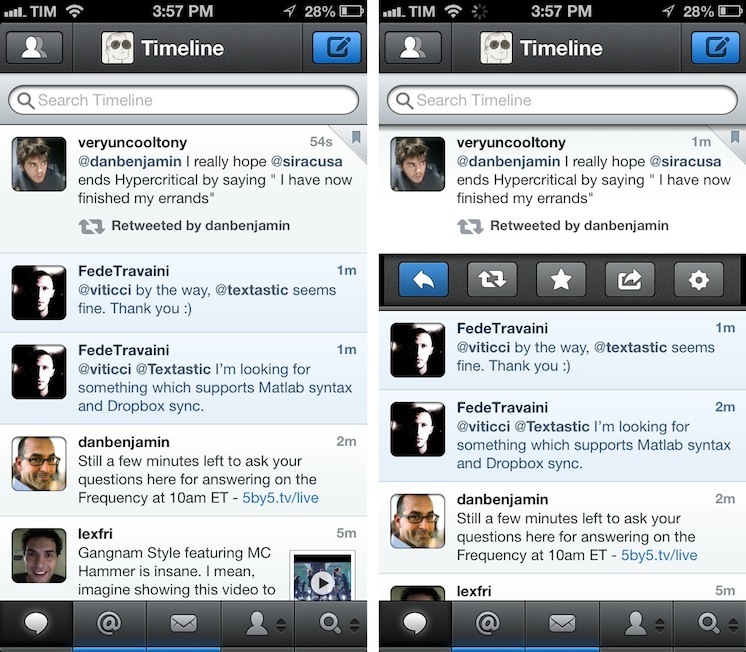 Tweetbot 2.6.1 is available on the App Store.